The University of Toronto Operations Research Group (UTORG) is hosting a meet and greet with Professor John N. Tsitsiklis, a renowned operations research expert from MIT. Refreshments will be served. We hope to see you there! When: Wednesday June 27 @ 11:00a.m. – 12:00p.m. Bio-Sketch: John N. Tsitsiklis was born in Thessaloniki, Greece, in 1958. He received the B.S. degree in Mathematics (1980), and the B.S. (1980), M.S. (1981), and Ph.D. (1984) degrees in Electrical Engineering, all from the Massachusetts Institute of Technology, Cambridge, Massachusetts, U.S.A.
During the academic year 1983-84, he was an acting assistant professor of Electrical Engineering at Stanford University, Stanford, California. Since 1984, he has been with the department of Electrical Engineering and Computer Science (EECS) at the Massachusetts Institute of Technology (MIT), where he is currently a Clarence J Lebel Professor of Electrical Engineering. After serving as acting co-director (Spring 1996 and 1997) and co-associate director (2008-2013), he is now the director of the Laboratory for Information and Decision Systems (LIDS). He has also served as a co-director of the Operations Research Center (ORC) (2002-2005), and as a member of the National Council on Research and Technology in Greece (2005-2007) and the associated Sectoral Research Council on Informatics (2011-2013). Finally, he has served (2013-2016) as the Chair of the Council of the Harokopio University, in Greece. His research interests are in the fields of systems, optimization, control, and operations research. 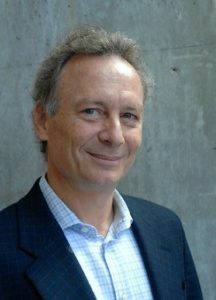 He is a coauthor of Parallel and Distributed Computation: Numerical Methods (1989, with D. Bertsekas), Neuro-Dynamic Programming (1996, with D. Bertsekas), Introduction to Linear Optimization (1997, with D. Bertsimas), and Introduction to Probability (1st ed. 2002, 2nd. ed. 2008, with D. Bertsekas). He is also a coinventor in seven awarded U.S. patents. He has been a recipient of an IBM Faculty Development Award (1983), an NSF Presidential Young Investigator Award (1986), an Outstanding Paper Award by the IEEE Control Systems Society (1986), the M.I.T. Edgerton Faculty Achievement Award (1989), the Bodossaki Foundation Prize (1995), the MIT/EECS Louis D. Smullin Award for Teaching Excellence (2015), a co-recipient of two INFORMS Computing Society prizes (1997, 2012), a co-recipient of an ACM Sigmetrics Best Paper Award (2013), and a recipient of the ACM Sigmetrics Achievement Award (2016). He is a Fellow of the IEEE (1999) and of INFORMS (2007). In 2007, he was elected to the National Academy of Engineering. In 2008, he was conferred the title of Doctor honoris causa from the Université catholique de Louvain (Belgium).